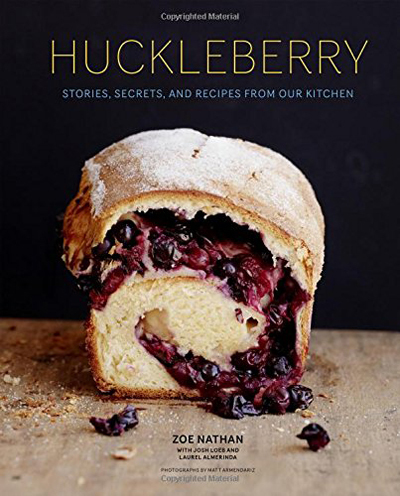 Of course, the recipe comes from “Huckleberry: Stories, Secrets, and Recipes from Our Kitchen” (Chronicle Books) by Zoe Nathan, of which I received a review copy. 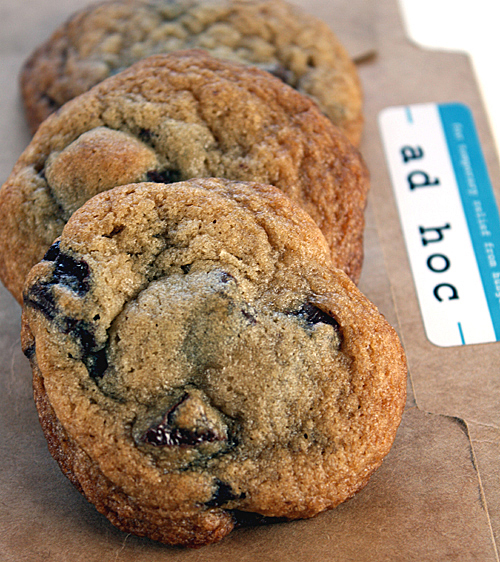 Nathan and her husband Josh Loeb own and operate Huckleberry Cafe and Bakery in Santa Monica. Nathan earned her chops working at Tartine Bakery in San Francisco before opening her Southern California bakery, where lines form daily. The cookbook includes 115 recipes for pastries, brunch specialties, side dishes and specialty coffee drinks. 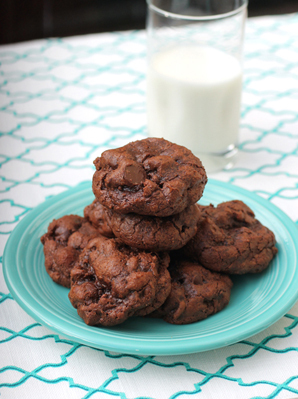 Being a chocoholic (dark chocolate — please), my eyes immediately stopped at this recipe in the book. 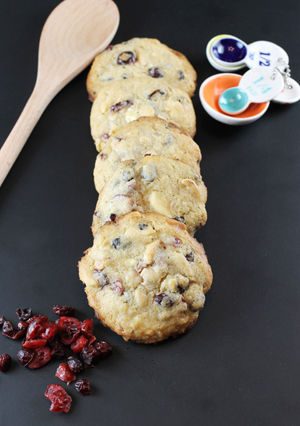 Like all muffins, this batter comes together easily in one mixing bowl. The 2 1/4 cups of chopped dark chocolate will put any chocolate aficionado in a good mood. 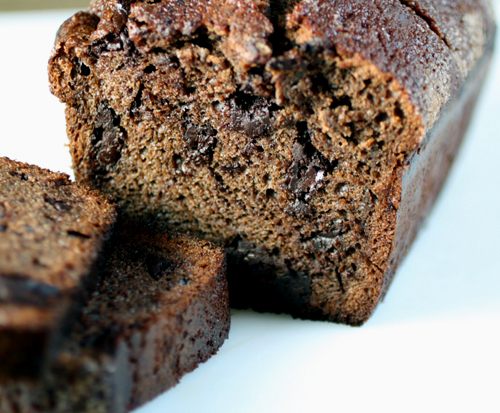 Almond flour gives these muffins a nice moistness and a light texture. 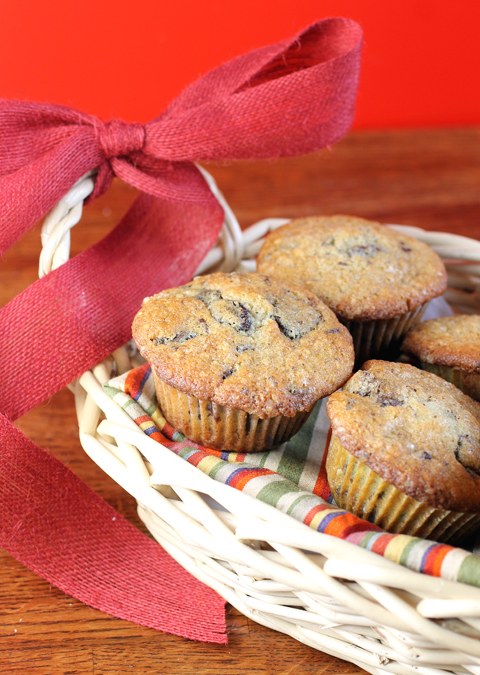 Yogurt also adds moisture and a slight tang to keep these muffins from emerging too candy-sweet. Yes, yogurt. The recipe calls for whole milk yogurt, but I used 2 percent because it was already in my fridge. The muffins were still plenty decadent even with the lower fat yogurt. Even so, I know these aren’t necessarily “good” for me. With Valentine’s Day around the corner, you shouldn’t either. 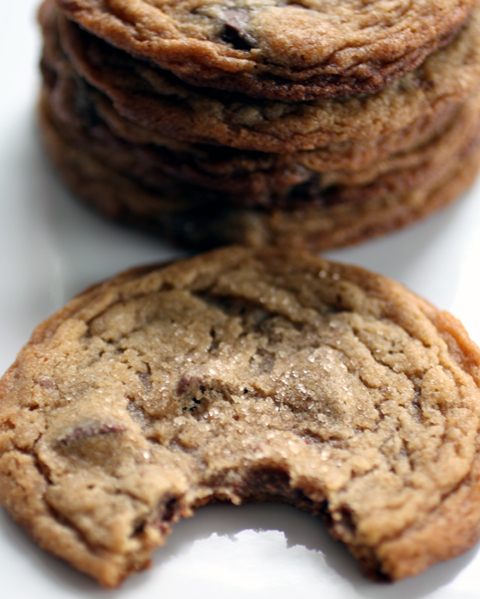 Don’t even try to resist these. Position a rack toward the top of our oven and preheat to 350 degrees. Line one 12-cup muffin pan with 12 paper liners. In the bowl of a stand mixer fitted with the paddle attachment, cream the butter, sugar, and salt on medium-high speed until nice and fluffy, 1 to 2 minutes. Incorporate the eggs, one at a time, beating until well after each addition. Be sure to scrape the sides of the bowl well with each addition. Pause mixing. 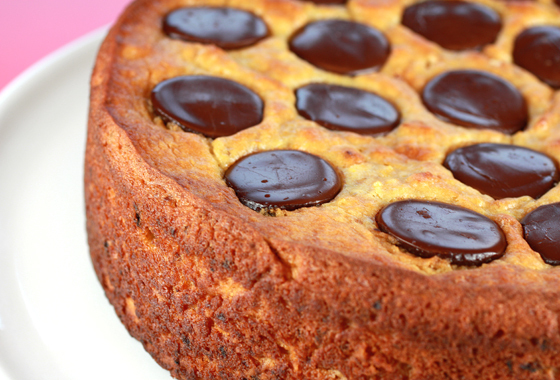 Add the all-purpose flour, almond flour, baking powder, baking soda, yogurt, vanilla, and chocolate. Mix cautiously, just until incorporated. 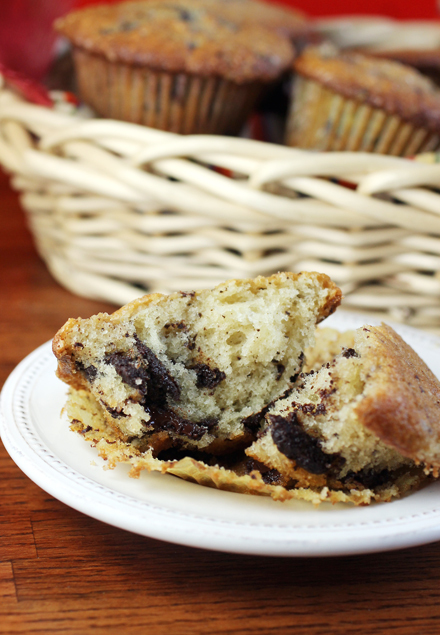 Fill the muffin cups with batter all the way to the top, even a little over. Sprinkle the tops with a little sugar. Bake for 22 to 25 minutes, until the muffins are brown and just spring back to the touch. Please do not overbake! These keep perfectly, tightly wrapped, at room temperature, for up to 3 days.